Embarrassed. Frustrated. Defeated. All precise descriptions of my state of mind following my first honest review of my finances since moving out of my parents' home and boasting to all that I knew what I was doing. I imagine that it would surprise no one how quickly your net worth can sink under the combination of perceived needs ("a new house needs new furniture") and false hopes ("our income can only increase with time"). Most Americans, it seems, can empathize with me. Otherwise, there wouldn't be such a rabid demand for financial gurus like Suze Orman or Dave Ramsey. My particular financial awakening resulted from, oddly enough, flipping on the radio. The local stations don't care to broadcast my particular musical tastes, so I settle for talk radio (I know, how quaint) when I don't have access to my albums. Hoping to get my Clark Howard fix one morning last year, I was perplexed to discover that a stubborn-sounding country boy (first impression, not an entirely accurate representation) had taken his place. Dave Ramsey had found me. In case you didn't know, Dave Ramsey is the getting-out-of-debt guy. Operating on the radio since 1992, Mr. Ramsey (or just "Dave") has been preaching the same basic premise ever since: Follow his seven baby steps to financial peace. Not content with just reaching out to financial dunces over the airwaves, Dave has spread his message via his Financial Peace University program, live events, and his books. 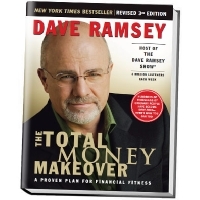 Intrigued by Dave Ramsey's on-air persona and the unbelievable testimonials of his followers, I purchased his The Total Money Makeover book and initiated my debt-busting journey. The Total Money Makeover is, in essence, Dave Ramsey's seven baby steps divided into chapters. Sure, the book contains an introduction and a few chapters dedicated to pumping you up so that you won't quit before you've begun. You know, debt is dumb and only crooks prosper from credit and all the usual platitudes. But the baby steps matter, because they provide the workable plan that many of the gurus tend to omit. Appropriately, the first baby step assumes your piggy bank has been slaughtered for sustenance and your debtors are forcing you to circle the wagons. If this situation is indeed your reality, building a $1,000 emergency fund might be the hardest portion of The Total Money Makeover. If that means putting a stop to paying the car bill and telling Capital One or Bank of America to shove it, then so be it. Thankfully, I was not in dire straits when I attempted this step. In fact, I already had a little over $1,000 in savings. Sure, I felt a bit like a cheater, but I admit that clearing the first baby step within seconds prompted me to pat myself on the back. I have a feeling that most people attempting the baby steps will either skip right past the first one or agonize over saving ten Ben Franklins for potentially months. Considering that there are seven baby steps, I find it cruel that Dave chose this one to be the second. Honestly, if you are in debt, you're probably not in a position to pay it off overnight. The entire reason I purchased The Total Money Makeover was to figure out how to pay off the $40,000 in consumer debt that I had been accumulating since being married. The student loans, car notes, and credit card debt were a real burden, one that I wasn't sure how I was going to eliminate without the aid of divine intervention. Step 2's solution is this: Identify your debts, line them up in order from least to greatest balance (not interest rate), and throw every extra dollar at the smallest debt while maintaining all of the minimum payments. Otherwise known as The Debt Snowball Method, the idea is that once you pay off the smallest debt, you transfer all of the cash that was being used to pay it off to the next smallest debt (and so on). Since you are knocking out the smallest debts first, you theoretically should be so pleased by the quick victories that your motivation level will continue to hold steady as you tackle the larger debts. Dave Ramsey argues that the Debt Snowball is the key element to getting out of debt. Apparently, it optimizes your psychological behavior or something to that effect. Now, this may prove to be entirely true for you. For me, however, it makes me happy to pay off the debt that saves me the most money -- in other words, the one with the highest interest rate. I'm not just being logical, I truly do feel more satisfied in the knowledge that I'm not paying a penny more on interest than necessary. As of this writing, I'm still on baby step two. I began my Total Money Makeover roughly a year ago, and have managed to pay off $17,000 in consumer debt. 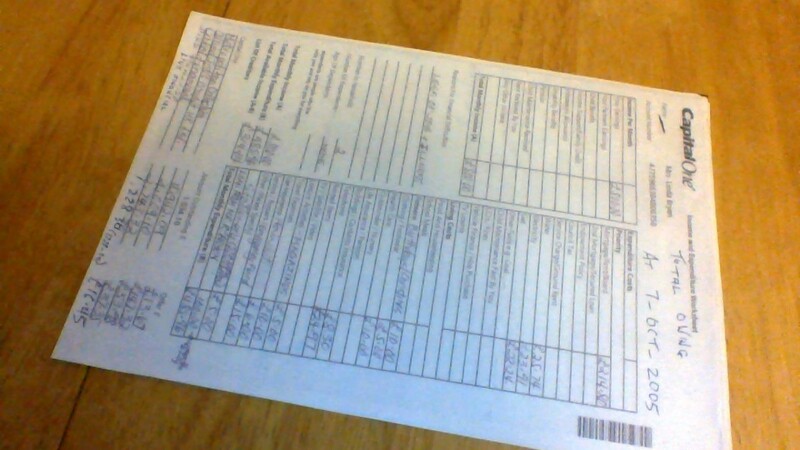 That's right: Adios hospital bill and Bank of America credit card! At my current pace, my SUV will be paid off in four months, placing me exactly at the halfway point. If everything goes to plan, baby step two will take me no longer than two and a half years from start to finish -- all $40,000 of it. Dave Ramsey is a master motivator, even if the actual advice is fairly basic. He structures The Total Money Makeover in such a way that, even though you're pretty sure you're in way over your head, helpful tidbits pop up in the form of sidebars and stories from actual participants to keep you going. What have I learned? Strangely, while the book doesn't go into a lot of detail on how to speed up baby step two, I've managed to accelerate the snowball effect in part by using the motivational stories interspersed within the text to discover new ways to cut costs and increase income. For instance, a tip from a forum post at Dave's website lead me to Ooma, which basically allows you to keep your home phone without needing to pay a monthly bill. That's a $40/month savings right there. Most importantly, I now acknowledge the importance of budgeting. Before Dave Ramsey, I basically just assumed that we were making enough money to cover our expenses. Horrible, I know, but my wife and I managed to stay afloat for years under this flawed method. I was afraid to budget because I knew the truth would terrify me. Too bad it took me so long to appreciate the benefits of a monthly budget, though, as the truth led me to a positive overhaul of our expenses that has freed up hundreds of dollars to direct towards debt. Once I am out of debt, I plan to write a companion piece to this article relating the completion of the rest of the baby steps. I like to think that my story is proof that The Total Money Makeover can work for someone who really desires to turn their finances around. Remember, I paid of $17,000 in one year making less than $60,000/year. Dave Ramsey - Debt Free and Loving It! 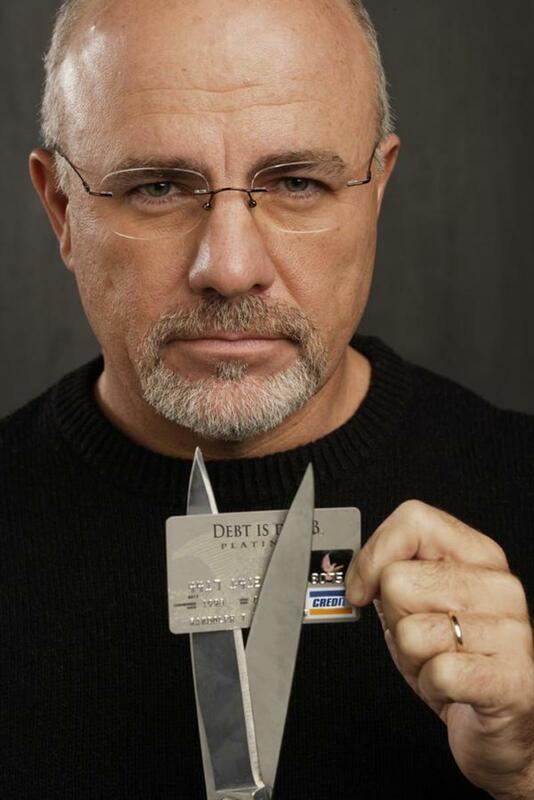 Dave Ramsey is a Television and Radio Talk Show Host who assists callers, listeners and guests become debt free. His helpful advice and debt counseling has served countless guests with smart personal economic decisions. Just got a copy of the total money makeover at the library (a copy of my own will probably need to make it into the budget soon). Like you I had a bit more than $1000 in savings, so I'm a few days into things and also on step 2. I have about 62k to pay off. With $100 extra per month toward my payments it would be paid off w/in 7 years. Seems doable, and hopefully in time I will have more income available to make even higher additional payments. I listen to Dave daily and he has helped my family a lot. We still have our mortgage, but this is the first time that my wife and I have lived within our means in the 15years we've been together, and we haven't had a credit card in almost 3 years! I dig Dave Ramsey. What he does certainly ain't rocket science, but there's a certain genius in common sense, and Dave's got it. Any review, good word, recommendation, etc, that pushes people towards learning his financial values is a positive force in the world, in my mind. So, well done. I hate when people say the word budget hahahahahaha. I need a budget so badly. I make a lot more than what I spend right now but I know for a fact that I could be paying off my mortgage so much more quickly than I am. I'm paying extra but could be paying a lot MORE extra. Gotta get after that. Thanks for some inspiration. Paying off $17k in one year is no joke. Ahhh, the golden word came out near the end of your writing... BUDGETING... Budgeting was and remains central in my own personal finance awakening. My financial life turned around when a friend told me about Out Of The Dark (OOTD) Budgeting free web app. With this tool I mastered the skill of budgeting and got myself out of my terrible debt prison in 3 years and into now saving to buy my own little home. Wolfpack alumnus here (noticed you were from NC). I never fully understood the concept of an "educated idiot" until trying to sort out my finances. Thankfully, with Dave there to remind me that "stupid is not illegal" and to "act my wage", I'm now armed chock-full with Ramsey quotables. Oh, and I guess I've managed to pay back a few dollars in the process. I live by this book and I'm still in college! This article is a great summary for someone who doesn't have the book yet or just wants to get enough of an idea to go buy the book. The entire ideology is so simple yet most people don't grasp it until it is laid out right before their eyes. Great article and feel free to check out my financial articles as well! Yep! It isn't a mind-blowing concept by any standard, but the whole Dave Ramsey philosophy was the first to get me to do something about my debts.